Abramowitz, Pomerantz & Morehead, P.A. is deeply rooted in values, integrity and the pursuit of justice. We aspire to help shape law, punish wrongdoers and protect consumers. Our firm is a leading South Florida personal injury law firm with more than 25 years of litigation experience in practice areas, which include but are not limited to, personal injury, wrongful death, auto and truck accidents, catastrophic injuries, defective products and medical malpractice. There is no charge for initial consultations and our firm only accepts cases on a contingency fee basis. Partners Richard Abramowitz and Howard Pomerantz formed one of the first personal injury law practices in western Broward County in 1986. Attorney Lyle Koenig brings his expertise in the areas of personal injury, wrongful death, auto accidents, slip-and-falls, insurance coverage disputes and product liability. 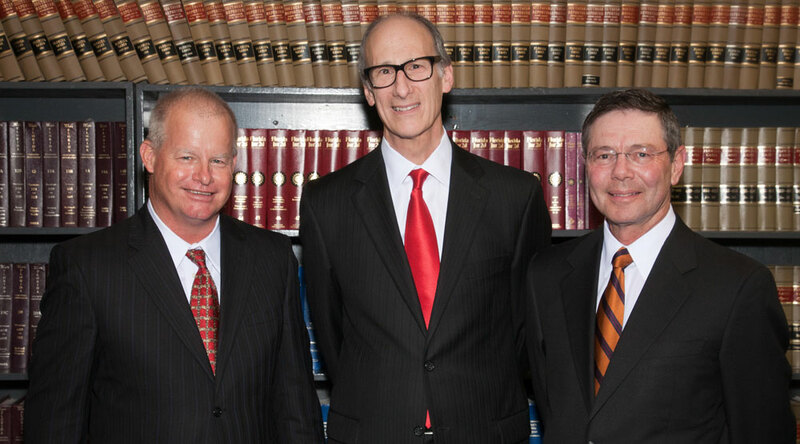 Charles Morehead joined the partnership in 2014 and the firm name became Abramowitz, Pomerantz & Morehead P.A. The firm is AV-rated by Martindale-Hubbell and included in their Bar Register of Preeminent Lawyers. Our firm is also comprised of five attorneys and a support staff of paralegals, each with extensive legal experience handling injury cases, as well as malpractice cases. We have handled numerous high profile and precedent-setting cases and have achieved numerous multimillion-dollar settlements and verdicts on behalf of our clients. We are proud that the majority of our clients come from referrals from former clients, attorneys and physicians. Obtain justice for our clients. We firmly believe that when our clients wish to do so and when it is in their best interest, litigation may be avoided. To this end, we may attempt to settle cases prior to initiating litigation. However, when litigation is necessary and in our clients’ best interest, you can expect to have your lawsuit aggressively prosecuted through trial. Our goal is to have you receive the best possible representation through all phases of your personal injury claim. Fort Lauderdale Litigation Law Firm focusing on personal injury and wrongful death, auto accidents, catastrophic injuries, medical malpractice, defective products, premises liability and defective drugs throughout the United States and Florida including Fort Lauderdale, Coral Springs, Plantation, Margate, Weston, Hollywood, North Miami Beach, South Miami, Coral Gables, and Palm Beach, Broward and Miami-Dade counties.